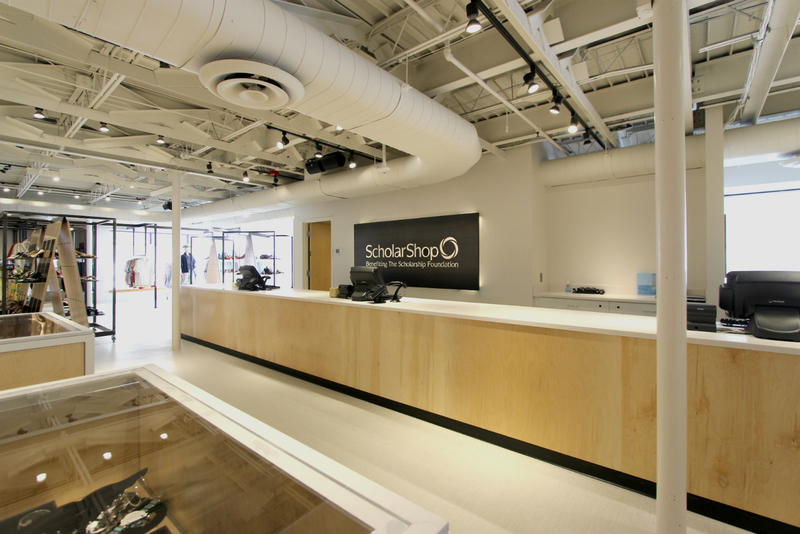 When contacted by the Scholarship Foundation to consider a remake of its ScholarShop high-end retail space, we knew it was the perfect job for us: highly visible space, multiple constituencies, quick turnaround, a strict budget. Nothing like a challenge to bring out our best! The location across from the Galleria Mall certainly has retail competition, yet there’s no place quite like it. 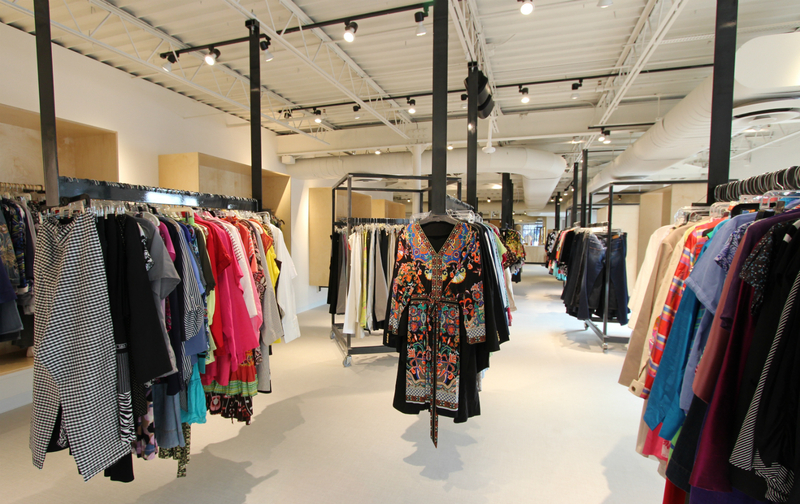 The shop sells high-end brand name clothing and accessories at a steep discount, curated and displayed to mirror a retail outlet. At least that has always been the intent, but more than 15 years after its last remake, the store was clinging to the 1990s. At more than 7,000 square feet, the shop is big, and does a big volume in sales. Between the 8211 Clayton Road location, and a smaller storefront in Webster Groves, ScholarShop operations generate retail sales of more than $3 million annually. Proceeds from those sales provide an ongoing source of funding for The Scholarship Foundation’s Interest-Free Loan Program for qualified postsecondary students from low-income backgrounds. By 2015, nearly 630 students from the St. Louis region received $4.8 million in interest-free loans and grants for postsecondary education through the financial assistance programs of The Scholarship Foundation of St. Louis. Since its founding in 1920, the Foundation has distributed more than $66.5 million in interest-free loans and grants for higher education to nearly 10,600 students from across the St. Louis community. The ScholarShop has been a great success for a long time. 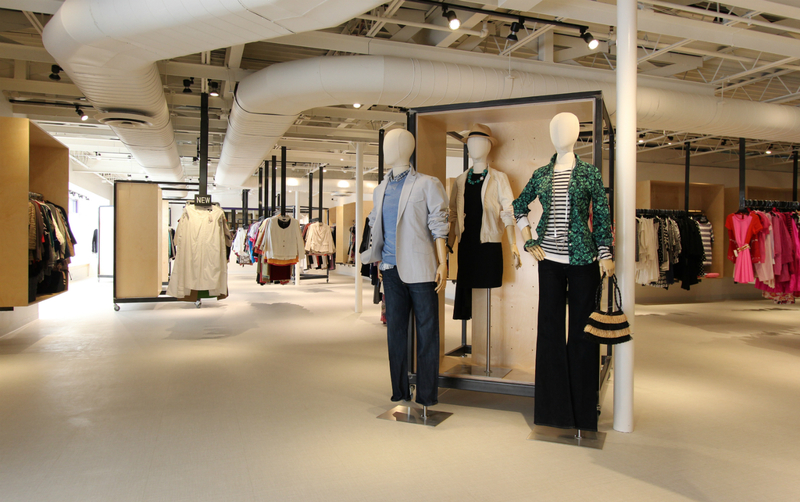 Our challenge was to completely remake the space while keeping the same amount of clothing on display, create a flexible design that will stay looking clean and new for a decade, and do it all on budget so that prices remain a bargain. Oh, and it had to be completed in just in four weeks. We needed to get this right, and fast. We got to work, interviewing Scholarship Foundation staff and volunteers. We learned the checkout location was inconvenient, that the store had too many varieties of clothing racks, too little light, too few men’s dressing rooms, and a lack of dedicated display windows. Our solutions: light colored backdrop to highlight clothes, and keep as much as possible off the ground for easy cleaning, flexibility, and a unique look. 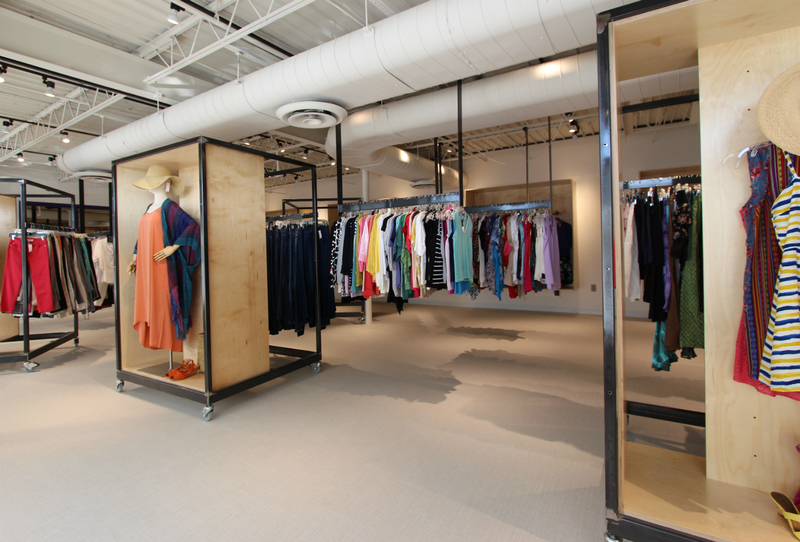 To make the space unique and carry a holistic design, we fabricated the custom clothing racks and merchandise displays of steel and Baltic birch plywood. The project was a perfect opportunity for SPACE to provide an integrated solution incorporating design, fabrication, and building capacities. Doing this, we can identify challenges, design, consult with our fabricators, source materials, and manage subcontractors, all the while keep the end design as the primary focus. What this integrated approach means is that adjustments can be made, that design isn’t sacrificed to expediency or budget. It also means the client has one contact for any questions. To deliver everything on time and to our design specifications, we worked with F and R Metals, Inc. and L.E. Sauer Machine Company. The end result? A bright, modern, flexible shop that feels like 21st Century retail. 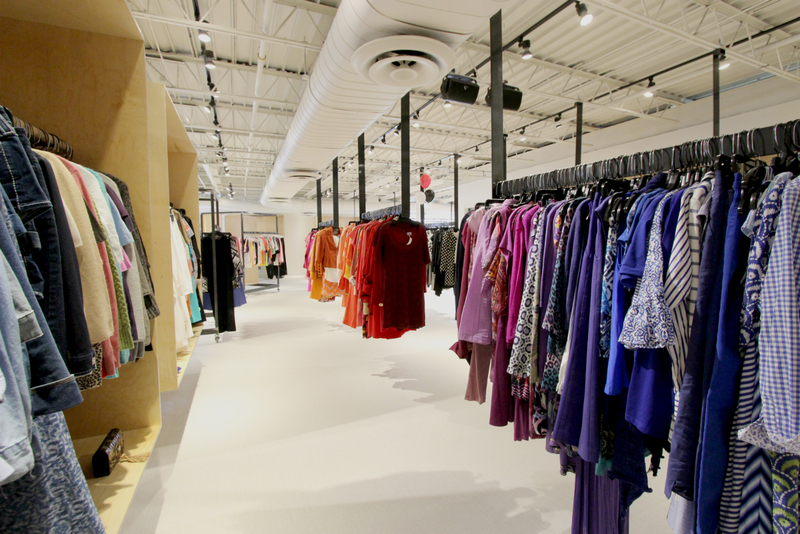 Custom clothing racks hang clamped to the ceiling, shoe racks on casters, and clothing racks with integrated displays are all movable. We doubled the number of changing rooms, creating a more private, and more easily managed flow. The cashier queue and process is all new and custom display cases have moved jewelry and other popular items to a more prominent space. We love it, and from early reviews, it seems to be a hit with ScholarShop shoppers!